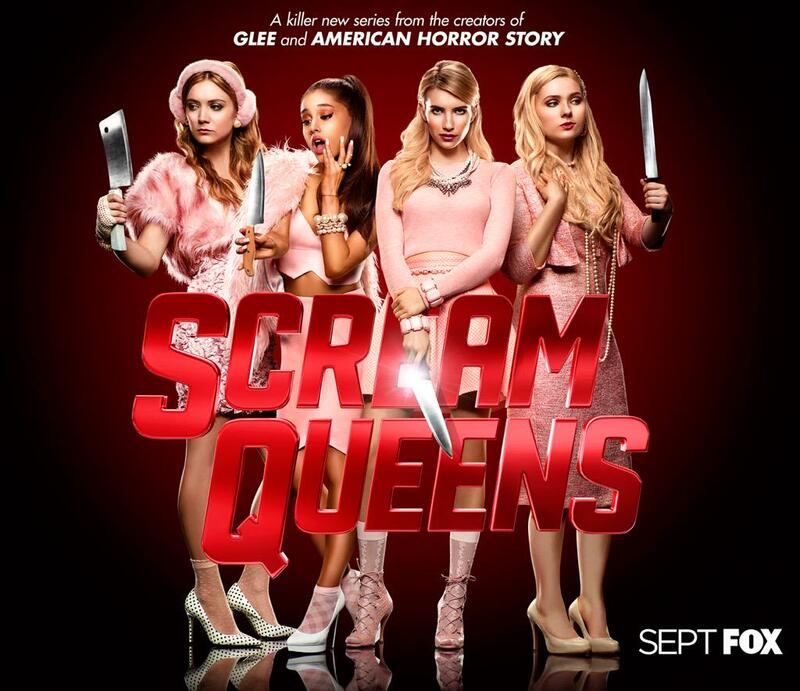 Ryan Murphy’s new television series Scream Queens will do anything but make you scream. The horror comedy anthology is a strange mix of two of Murphy’s greatest successes, Glee and American Horror Story, focusing on a devil-masked serial killer stalking the Kappa Kappa Tau sorority. With its eclectic cast, including slasher queen Jamie Lee Curtis, American Horror Story: Coven’s Emma Roberts, Glee’s Lea Michele, and Little Miss Sunshine’s Abigail Breslin as well as special appearances from stars such as Nick Jonas and Ariana Grande, the show inspires intrigue and curiosity, although whether it delivers on this is another matter entirely. Roberts, in her typical mean girl role, plays Chanel, the president of Kappa Kappa Tau, who laughably refers to her sorority sisters by number rather than name. The plot follows the sorority as they’re forced to let anyone join that wants to pledge, a condition given by the university’s dean (played by Curtis) for keeping their charter. Chaos ensues as the sorority attains “undesirable” pledges, and things get even worse when they and other students connected to the sorority start getting killed. While sometimes entertaining in the way they play out (for example, someone tweets as they die), the killings in Scream Queens are rather predictable and ridiculous. The gore is definitely squirm-worthy, as the camera is kept steady and focused on people as they’re beheaded and fried to death, but the serial killer story-line fails to deliver. It’s almost like watching Scary Movie, although the concept has now been applied to a television series. The show parodies slasher movies, but this seems to get tiring as time and time again, and episode and episode again, people ask “why aren’t we calling the cops?” This appears to be a reoccurring theme in the show, now 6 episodes in. The dialogue, consisting mostly of quips and insults exchanged between sorority members and the like, can be quite clever at times albeit familiar and redundant. Murphy does seem to enjoy highlighting the comical characteristics of the Millennial generation in his new show, especially pertaining to the obsession with technology and an apparent inherent narcissism. He plays on these themes in a witty manner, which is one pull of the show. Another is finally figuring out who the guy behind the red-devil mask is, and why he has an obsession with Kappa Kappa Tau, as you’re left unsatisfied and more confused the deeper into the series you get. With only a couple episode left in the first series, Scream Queens will hopefully include a few more twists and play to its strengths. While entertaining overall, one wonders where the show will go and if Murphy’s take on the horror comedy anthology will survive for another season.